Trying to catch up on my blogging. I have been a bad blogger. Two weeks ago I went to Birds of a Feather long arm retreat with Joyce, Pat and Margaret. This was located in Virginia Beach, Va. We had a great time. I took Statler classes and learned lots. On the right is a small quilt that Page Johnson quilted using her Statler. It is amazing. Her customer used great fabrics, too. I also took several close ups so you can see the quilting. The next 2 pictures were Page's other samples from class. 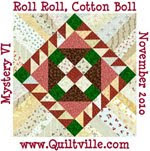 The ring quilt is using point to point designs to quilt. the stack n wack is how to use a block to make and edge to edge design. 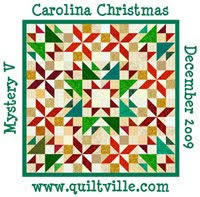 Next are quilts from Kim Diamond's class. This was a great class too. I learned so much, I will never remember it all. I know this post is getting long, but there is soo much to share. Here is the Birds in a Feather quilt. This is their logo. Jamie Walden was there. 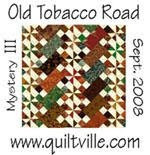 He is a great quilter and teacher. Here is his donation to Birds in a Feather. It is beautiful, too. The goose head is thread painted. the back ground is hand dyed flannel. Swans everywhere. This is the local swan. She lives at the hotel. She begs at this door for food. I think they feed her from here. She is beautiful.